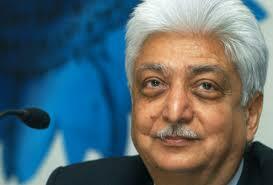 New Delhi, Nov 13 (IANS) Wipro chief and IT tycoon Azim Premji tops the list of Indian philanthropists with donations amounting to Rs.8,000 crore in the past year, followed by HCL chairman Shiv Nadar, a report said. Premji, 68, who owns 57 percent of Wipro, has donated 10 percent stake in the company to Azim Premji Foundation that promotes education in rural India, China-based Hurun Report Inc. said in its HurunIndia Philanthropy List 2013. “To him (Premji) goes the credit of becoming the first Indian to sign up for the Giving Pledge, a global philanthropic initiative spearheaded by Warren Buffet and Bill Gates,” it said. Shiv Nadar (68), chairman of HCL group, is the second highest contributor in the list with a donation of Rs.3,000 crore. The Shiv Nadar Foundation, which completed 20 years in philanthropy this year, works towards educational initiatives and expansion programmes, directly benefiting 15,000 students across India. Hurun India Philanthropy List is a ranking of 31 Indians who donated more than Rs.10 crore cash or cash equivalent during Apr 1, 2012 to March 31, 2013. Education was the most important area for the Indian philanthropists with a total contribution of Rs.12,200 crore. It was followed by social development (Rs.1,210 crore), healthcare (Rs.1,065 crore), rural development (Rs.565 crore), environmental cause (Rs.170 crore) and agriculture (Rs 40 crore).